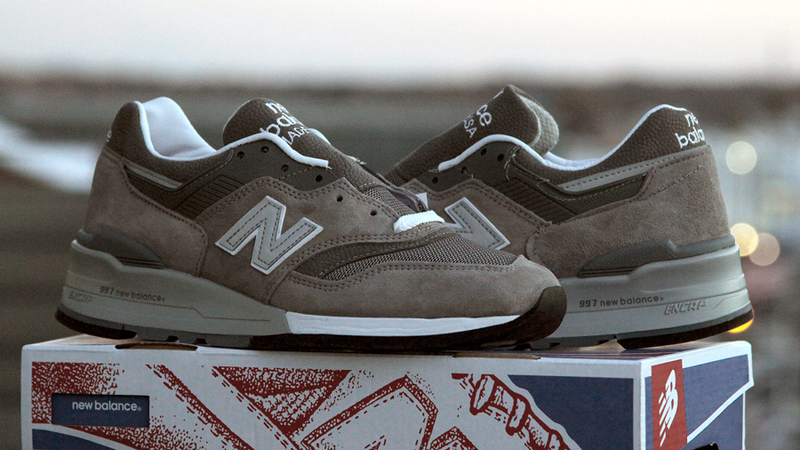 A detailed report from inside New Balance's Skowhengan, Maine Shoe School. We observe sneakers in their final form on a daily basis, and evaluate them based on aesthetics with varying emotional responses. We see them stitched together with all the materials without understanding or appreciating how it happens. We have no concept of volume, or the necessary mastery of heavy-duty machinery that goes into each pair, in every shape and size. I caught a split-second glimpse. The thermometer struggled to push into double digits in Skowhegan, a proud, working-class town toward the center of Maine. 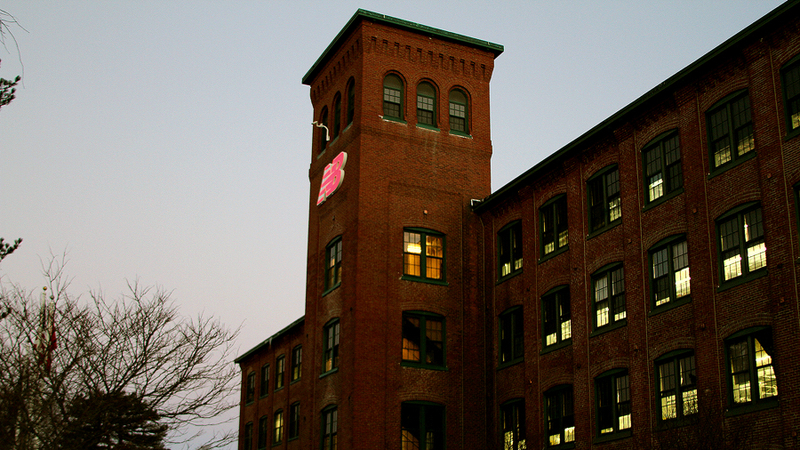 It was a few minutes after 7 a.m. on January 8 and the employees within New Balance’s local factory began their shift a little more than an hour earlier. I won a lottery to attend the New Balance Shoe School at the Skowhegan factory with my wife, joined by two New Balance marketing reps from the corporate headquarters in Boston. This was an exclusive experience for them, too. Shoe School is an elaborate breakdown of the New Balance process, designed to showcase the origin of each pair with a bottom-to-top, hands-on tour through the factory floors. The factory is organized by color-coded value streams, with each team assembling a different sneaker in accordance with the one-page breakdown they receive each day for their shifts. 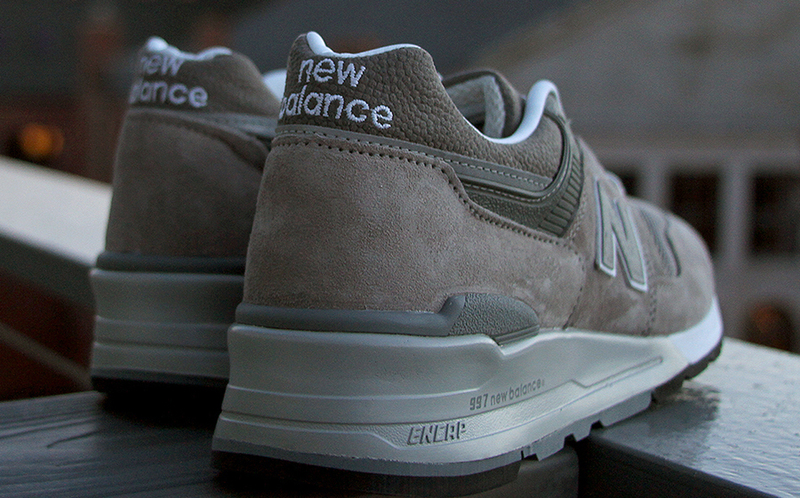 I was with the purple value stream, making the new grey New Balance 997. My wife was on gold making a navy 1400; silver was working on a premium leather 576; the orange line right next to purple was making a nubuck 1300. So forth. So on. A 1.5-ton machine slides back and forth like a typewriter in the basement, stamping out more than 90 precise tongues into six layers of mesh. The man controlling it is named Oscar and he’s been at New Balance for more than a decade. After stamping out a few, I’m delivered to Rick. He’s examining whole hides for scars before cutting saddles, toes, and heels into them. He works around subtle white dots and awkward patches of texture, exhausting every possible centimeter of the animal’s dyed hide that will go onto the right sneaker. His partner is doing the same for the left. Those pieces are all sorted for the value streams on each of the factory’s four floors. 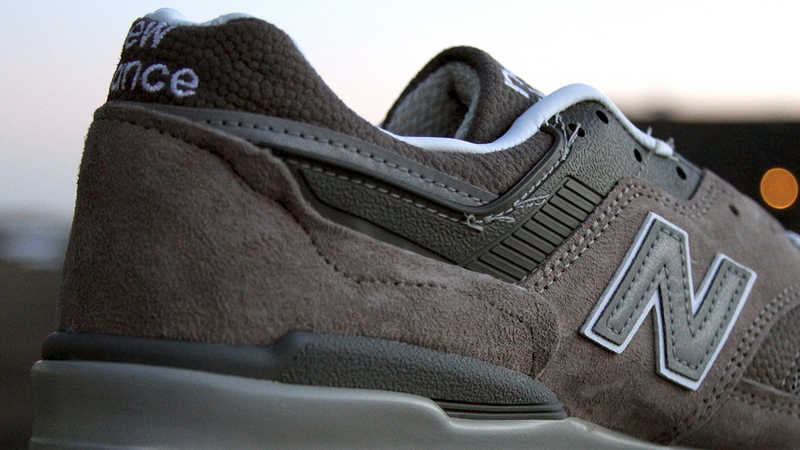 The first person I meet at purple is laying a 3M New Balance ’N’ onto a larger white ’N’ for the sneakers’ logo hit. In the next station, a woman who’s been with New Balance for 12 years is multitasking between stitching pebbled leather logos to tongues and applying scalding glue to the tip of the toe piece. 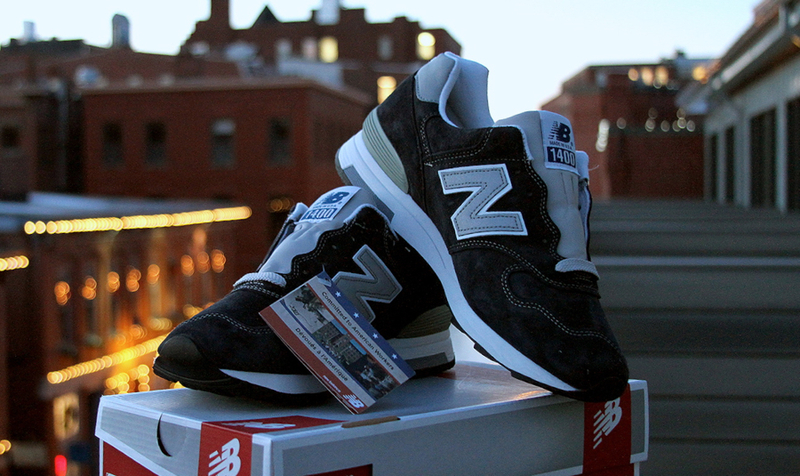 The next six stations are assembling the 'web' of the upper, matching low-profile notches that identify the size and side of the sneaker, precisely applying the New Balance logo onto the suede saddle, stitching the ankle collar to its 3M accent at the 997’s heel, and stamping out lace holes. A scoreboard stands at the end of the row, identifying the goal, actual amount of sneakers completed, and the differentiation. They were behind and it was my fault, but everyone assured me that it was okay. Nate, one of the team leaders and a six-year veteran at Skowhegan, said they plan for delays when Shoe School is in session. There’s only so much that can be embroidered automatically on a sneaker. A human hand is required once it’s time to stitch the tongue to the upper, the cushioning to the ankle collar, and the heel that closes the back of the web. It’s making the sneaker without the sole. Each sewing station is operated by immensely coordinated professionals, utilizing pedals to control the speed of the needle while narrowly tracing the same pieces Rick cut in the basement earlier that day. I am not coordinated. I’d step on the wrong pedal, turn the sneaker the wrong way, and watch my stitching veer too far off course. Once the stitching was complete, I inserted a size-7 mold to hold the shape of my 997 while glue, cement, 125 degrees of heat, and five thousand pounds of pressure — all applied and handled manually — united to bond the sole with the upper. For the final step before boxing, I removed excess glue along the sole with a sander and fine-tooth comb, and brushed the suede to perfection. When all was said and done, I was ashamed of the b-grade 997 that I created. See, the problem wasn’t only my inability to control the sewing machine, or that I went glue happy before cementing the sole. It’s that I met Rick that morning, who decided that the heel he cut was good enough for production. And I worked with Lorraine who moved non-stop while distributing those pieces to the purple value stream. And I worked with each employee assembling the web for that one sneaker throughout the morning. And Tina, another team leader on purple, did her best to guide my hand through stitching. Bless her heart. You stand in the middle of the value streams in Skowhegan, wearing earplugs to dull the volume of the machines, and you quickly realize that those whirring devices are really just the tools. The real machine is the value stream, people performing clockwork as each assembly task flows into the next. Every step is just as important as the last — because no one in Skowhegan wants to devalue the work that was done before each piece reached them. That’s just a piece of one day inside one of New Balance’s five United States factories throughout the Northeast, all crafting American-made footwear for a brand with more than a century of tradition.